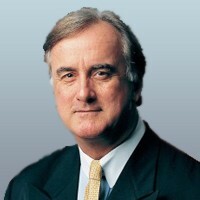 Mr. Thurman has served as Executive Chairman since June 2018 and as a member of our board of directors since April 2018. Mr. Thurman is currently a senior advisor at BC Partners, a private equity firm, and is also currently a member of the Board of Directors at Allscripts, Inc. and Zest Dental, Inc. In the span of his career, Mr. Thurman has previously been the President of both Rorer and Rhone-Polenc Rorer Pharmaceuticals, CEO of Corning Life Sciences, and Chairman and CEO of VIASYS Healthcare, Inc., as well as a member of the board for over 15 public and private companies. Mr. Thurman received M.A. in Management from Webster University and a B.S. in Economics from Virginia Tech. He also completed the Global Aviation Leadership Program at the USAF Air Command and Staff College and is a former U.S. combat fighter pilot. Mr. Haddadin rejoined our board of directors in April 2018 after previously serving from October 2017 to March 2018. He joined GMS Holdings in 2017 and leads the company’s direct private equity investment platform focused on non-MENA markets, with an emphasis on North America. Yezan has over 17 years of investment banking and private equity experience. Throughout his career, he has developed extensive experience across a range of industries and advised on over USD 100 billion in M&A transactions in North America, Latin America, Europe, the Middle East and Africa. 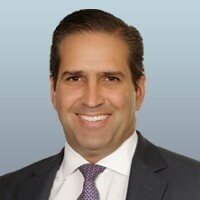 Prior to joining GMS Holdings, Yezan was the Chief Executive Officer and Board Member of a regional investment bank based in Amman and Dubai (2014-2017); Advisor at Ripplewood Holdings LLC, a New York-based private equity firm (2013-2014); Managing Director at Perella Weinberg Partners in New York (2007-2013) and an Executive Director in JPMorgan’s M&A Group in New York (2000-2007). He is currently a member of the Board of Directors at Sixth of October Investment Company (“SODIC”), a publicly listed Egyptian real estate development company and also a Board Member of The Near East Foundation, a New York- based private nonprofit development agency with projects in Africa and the Middle East. 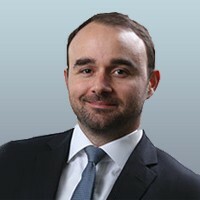 Yezan holds a Juris Doctor from Northwestern University School of Law (USA) and a Bachelor of Science from Georgetown’s School of Foreign Service (USA). He is admitted to the New York State Bar Association and is an FAA licensed pilot. Mr. Hilzinger has served as a member of our board of directors since December 2015. He has extensive experience with companies that manage the supply of pharmaceuticals. He spent 16 years in various executive management capacities with AmerisourceBergen Corporation, serving as president and chief operating officer and earlier as executive vice president and chief financial officer. In 2007, he became a partner at Court Square Capital Partners, a private equity firm. Since 2003, Mr. Hilzinger has been on the board of managed care company, Humana, including serving as lead director from 2010 to 2014 when he became chairman of the Board. He serves on the Visiting Committee at the Ross School of Business at the University of Michigan, and also formerly served as Chairman of the Healthcare Distribution Management Association (HDMA), the trade association of the pharmaceutical distribution industry. Mr. Hilzinger received his B.B.A. degree from the University of Michigan and is a Certified Public Accountant. Mr. Kenyon has served as our President and CEO and as a member of our board since August 2018. He has also served as our Chief Financial Officer and Secretary since September 2015. Prior to that, from February 2014 to September 2015, Mr. Kenyon served as the Chief Financial Officer of Arno Therapeutics, Inc., a biopharmaceutical company focused on the development of therapeutics for cancer and other life threatening diseases, and also as Chief Operating Officer from July 2014 to September 2015. From December 2011 to March 2013, Mr. Kenyon served as the Interim President & Chief Executive Officer, Chief Financial Officer and Secretary of Tamir Biotechnology, Inc., a publicly held biopharmaceutical company engaged in the development of oncology and anti-infective therapeutics. Prior to that, from December 2008 to July 2010, Mr. Kenyon was the Executive Vice President, Finance and, commencing in March 2009, the Chief Financial Officer of, Par Pharmaceutical Companies, Inc., a publicly held generic and branded specialty pharmaceutical company, or Par. 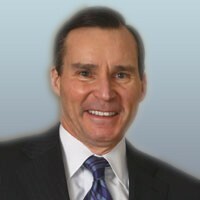 Prior to joining Par, Mr. Kenyon was the Chief Financial Officer and Secretary of Alfacell Corporation, or Alfacell, from January 2007 through February 2009 and also served at various times during this period as Alfacell’s Executive Vice President, Chief Operating Officer and President, and was a member of Alfacell’s board of directors from November 2007 to April 2009. Prior to joining Alfacell, Mr. Kenyon served as the Executive Vice President, Chief Financial Officer and Corporate Secretary at NeoPharm, Inc., a publicly traded biopharmaceutical company, from 2000 to 2006. Mr. Kenyon received a B.A. in Accounting from the University of Wisconsin-Whitewater and is a Certified Public Accountant in Illinois. Dr. Mohan has served as a member of our board since January 2011. From January 2011 to June 2018, he served as our President, Chief Executive Officer and as Chairman. Prior to founding our company, from May 2008 to December 2010, Dr. Mohan served as head of Business Operations and Portfolio Management of Biologics Process and Product Development at Bristol-Myers Squibb Company. From June 2006 to May 2008, Dr. Mohan served as a Director of Bioprocess Engineering at Genentech, Inc., a biotechnology company. Prior to that Dr. Mohan served as a senior manager at Eli Lilly and Company. From May 1993 to April 1996, Dr. Mohan served as Assistant Professor (Lecturer/Fellow) at the Advanced Centre for Biochemical Engineering, University College London, London, United Kingdom. From August 1987 to December 1989, Dr. Mohan served as a Scientific Officer for the Department of Atomic Energy for the Government of India. Dr. Mohan has served as Chairman and as a member of the board of directors of Sonnet Biotherapeutics, Inc. since its inception in April 2015. Dr. Mohan received a Ph.D. in Biochemical Engineering from the School of Chemical Engineering, University of Birmingham, Birmingham, United Kingdom, a masters in Financial Management from Middlesex University Business School, London, United Kingdom, an Executive Management Program (AMP) from Fuqua School of Business at Duke University and a Bachelor of Chemical Engineering from the Indian Institute of Technology in Roorkee, India. Mr. Sukhtian has served as a member of our Board since September 2017. Mr. Sukhtian has served as a Director of GMS Tenshi Holdings Pte. Limited since 2011, and an Executive Director of GMS Holdings, a diversified investment company, since 2008. In addition to managing operations of GMS Holdings,Mr. Sukhtian oversees a number of investments within the GMS Holdings portfolio and serves as a director of GMS Holdings’ board of directors. From 2008 to 2011, Mr. Sukhtian served as Executive Director of Munir Sukhtian International. From 2010 to 2011, he served as Managing Director of Agri Sciences Ltd., an agrochemicals manufacturing business based in Turkey. Mr. Sukhtian has served as a member of the board of directors of Expert Petroleum, an oilfield services company based in Romania, since 2008, Agri Sciences since 2010, MS Pharma, a leading MENA based branded pharmaceutical generics company, since 2011 and Stelis Biopharma Private Limited, a biotherapeutic and biosimilar developer and manufacturer based in India, since 2015. Mr. Sukhtian previously served as a member of the board ofdirectors of Alvogen, a multinational generics pharmaceutical company based in the United States, from 2008 to 2014 and Waterloo Industries, Inc., a manufacturer of tool storage based in the United States, from 2015 to 2017. Prior to joining GMS Holdings, Mr. Sukhtian worked at JP Morgan, in New York, where he worked primarily on mergers and acquisitions, debt and equity transactions serving clients in the industrials and transportation industries. Mr. Sukhtian received an M.B.A. from Columbia Business School and a B.S. in International Economics from Georgetown University’s School of Foreign Service. Mr. Sukhtian was appointed to fill a vacancy on the Board, and was designated for such vacancy by GMS Tenshi Holdings Pte. Limited pursuant to the Investor Rights Agreement by and between the Company and GMS Tenshi Holdings Pte. Limited dated September 11, 2017. Mr. Thomas has served as a member of our Board since September 2017. 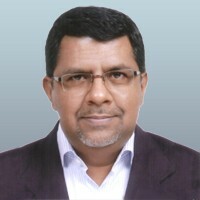 Since April 2015, Mr. Thomas has served as the Chief Executive Officer and Executive Director of Stelis Biopharma Private Limited, a biotherapeutic and biosimilar developer and manufacturer based in India, and is responsible for managing an integrated organization comprising research and development, manufacturing and commercialization of recombinant biotherapeutics in global markets. 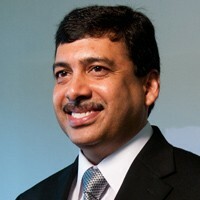 From January 2012 until March 2015, Mr. Thomas served as Chief Corporate Development Officer for Strides Shasun Limited, a listed pharmaceutical company based in India, and was responsible for development and deployment of growth strategies across group companies and business of Strides Shasun Limited. Mr. Thomas received both a B.Sc and M.Sc. in Chemistry from Delhi University and has over 30 years of experience in the pharmaceutical and consumer healthcare industry. Mr. Thomas was appointed to fill a vacancy on the Board, and was designated for such vacancy by GMS Tenshi Holdings Pte. Limited pursuant to the Investor Rights Agreement by and between the Company and GMS Tenshi Holdings Pte. Limited dated September 11, 2017. 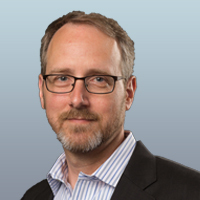 Dr. Windisch has served as a member of our board of directors since March 2018. He is currently Chief Operating Officer of Polpharma Biologics (Poland). For about 20 years he was a key manager at Sandoz Biopharmaceuticals (part of Novartis). While at Sandoz, Dr. Windisch was instrumental in building up its R&D and manufacturing capabilities as well as leading the development of Sandoz’s biosimilars program. Dr. Windisch also led the development of Sandoz’s Somatropin (Omnitrope®), the first ever biosimilar, as well as the company’s Epoetinalfa (Binocrit®) and Filgrastim (Zarzio®) products. From 2016 to 2017 he served as Chief Operating Officer (COO) of Affimed, a NASDAQ-traded biotech which develops novel immune cell engagers for the treatment of cancer. 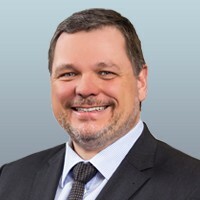 Dr. Windisch was educated in Austria, Germany and the United States and received his Ph.D. in Biochemistry and Molecular Biology from the University of Innsbruck.